I gave a little update to some of my favorite Christmas treats! 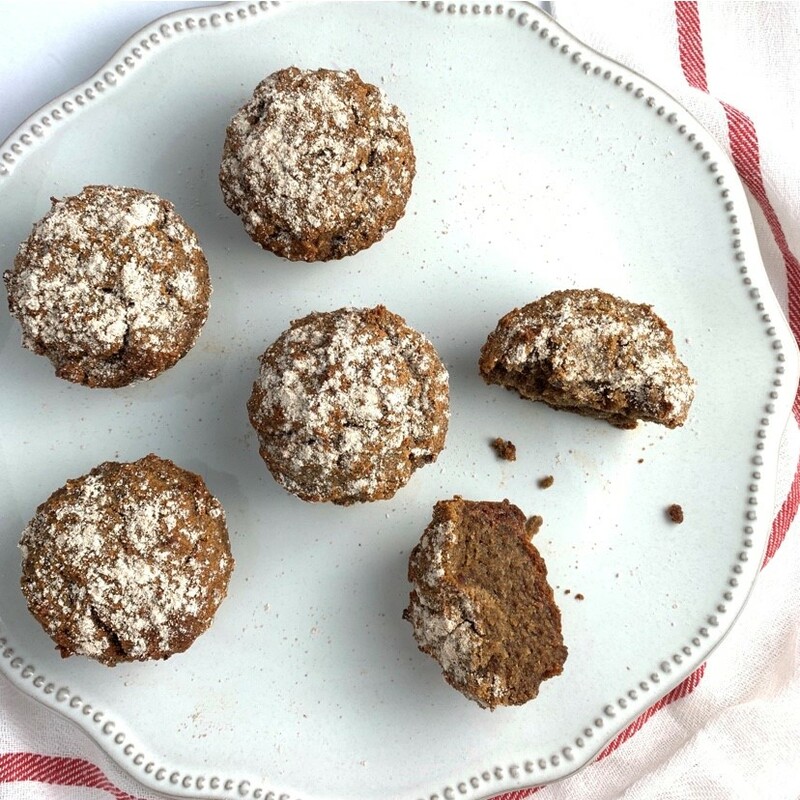 These AIP Gingerbread muffins are all the things...dense and moist with a little bite of ginger against the sweetness of a banana bread. Tigernut flour rules the day here - I typically use cassava and coconut flour in my muffins (which I did here), but the addition of the tigernut really keeps the texture fluffy. It’s probably my current favorite thing! And to top ‘em off, their sprinkled with a dusting of Paleo/AIP Powdered Sugar from my current obsession, the Paleo Cookie Exchange e-book! There are TONS of goodies tucked inside this FREE ebook from my good friend Allison from Flabs To Fitness, Anne from Grassfed Salsa and Alyssa from Barefoot Provisions! •1/2 cup + 2 tbsp coconut oil (2 tbsp optional...add if you prefer more of a denser, loaf-like texture). •4 tsp ground ginger (if you like more ginger, add by 1/4 tsp at a time). Boil dates until soft, around 5 minutes. Remove pits. Combine all ingredients in a food processor and process until well mixed. Line a muffin tray with paper or silicone cups, and use a scoop batter into each, filling to near the top. Bake for 18-25 mnts, until golden brown.